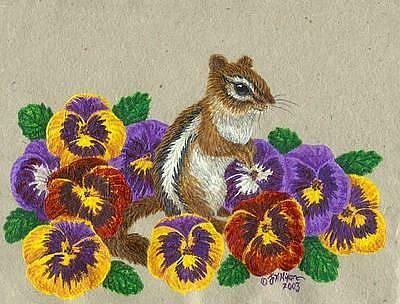 This is an Eastern Chipmunk stopping in a patch of pansies as he searches for some nibbleys in a flower garden. It's a cheery scene. Pansies are my mother's favorite flowers and I always think of her when I see them.